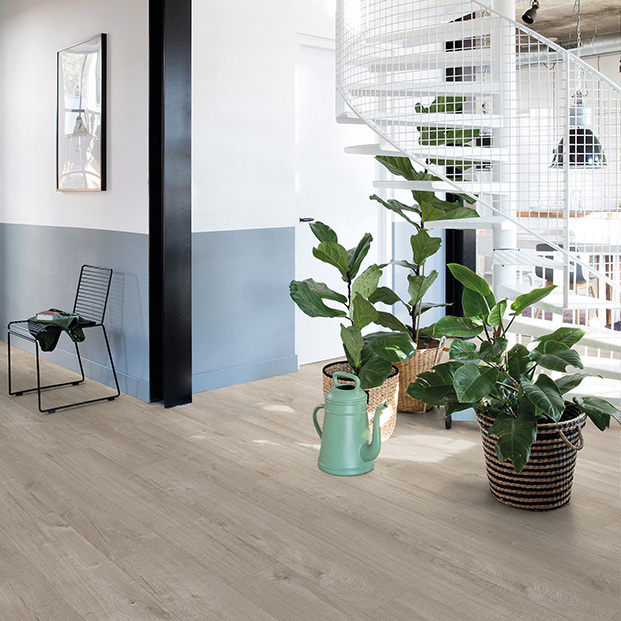 Part of the Livyn Pulse Plus collection made by Quick-Step, the Autumn Oak Brown luxury vinyl floor blends style and function. 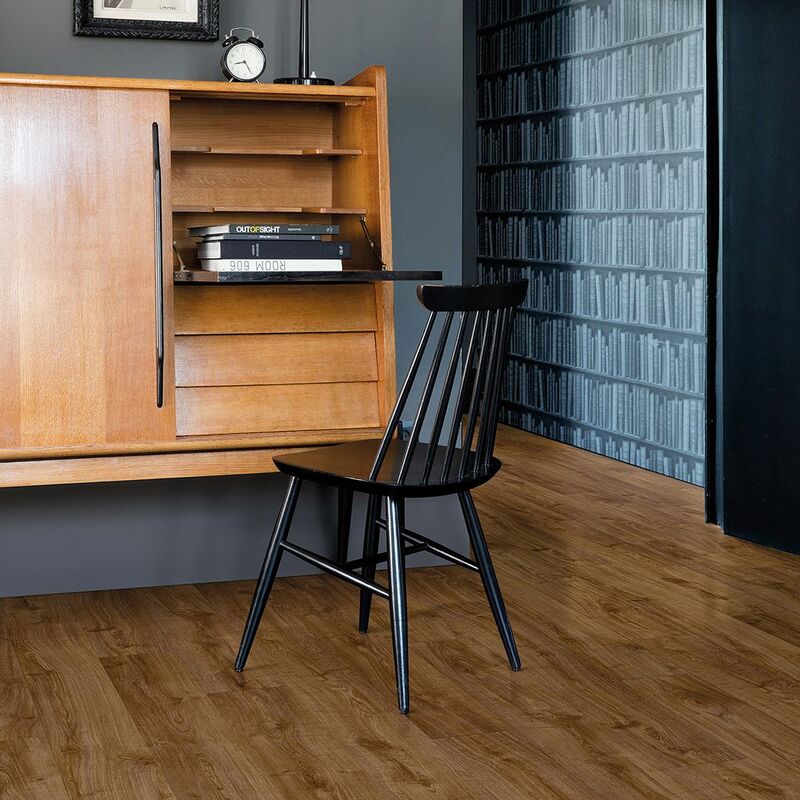 The design recreates the features of solid wood, providing a practical flooring solution for the modern home. 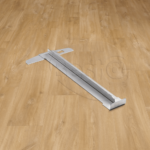 Ultra durable and tough, this floor comes with the innovative Stain Guard and Scratch Guard technology. This means that it will look fantastic for many years to come, even in a busy family kitchen. 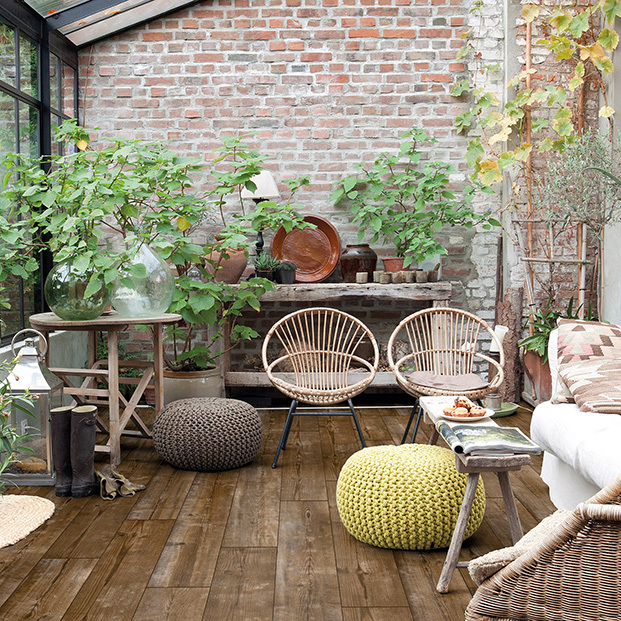 The planks boast bevels on all four sides, enhancing the authentic wood effect design. 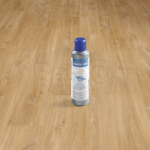 Thanks to the waterproof construction, Autumn Oak Brown suits any area of your home, including bathrooms. 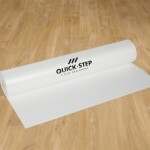 Backed by a substantial 25-year warranty.